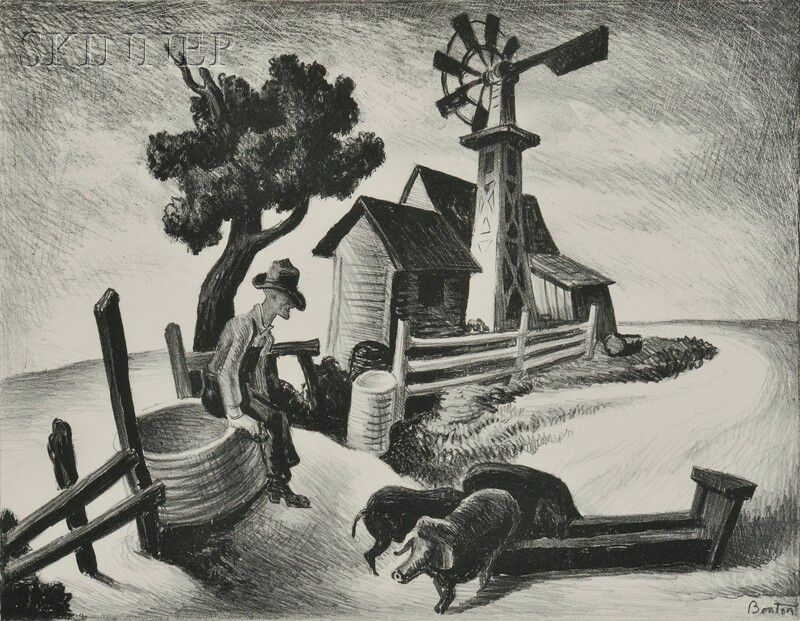 In the Ozarks, alternatively titled Homestead, 1938, edition of 250, published by Associated American Artists, New York (Fath, 20). 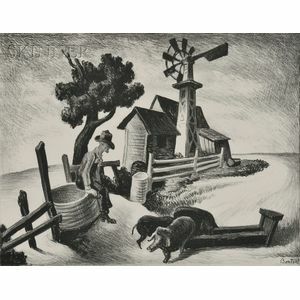 Signed "Benton" in pencil l.r. and in the matrix, identified on a label from AAA affixed to the reverse. Lithograph on paper, image size 10 1/4 x 13 1/8 in. (26.0 x 33.3 cm), framed. Condition: Gently light-struck, not examined out of frame.